Providing one-stop services to investors makes them more competitive and productive. 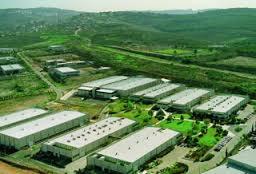 The Industrial Parks Development Corporation (IPDC) said that it has set up a new regulation to enable investors obtain one-stop government services in industrial parks. The draft regulation was tabled yesterday for discussion with concerned sector administration representatives. On the occasion, Commissioner Fitsum Arega said that the regulation would help investors to be more productive cutting cost and time spent on accessing various government services. Fitsum also said that the regulation aims at coordinating the task of over 40 government offices in a bid to render a one-stop service. "If our parks grow steadily like the Chinese's ones, they will make one of Africa's industrial parks hub."